The big buzz in hard drives right now is Western Digital's 3TB WD Caviar Green (Model WD30EZRS) internal drive. Along with its cavernous capacity, the drive, which is available for about $230, boasts a 64MB cache and is SATA 3Gbit/sec.-compatible. But what makes it special -- it's the largest capacity internal hard drive currently available -- is also what makes it awkward. To begin with, operating systems such as Microsoft Windows -- including Windows 7 -- tend to use a Master Boot Record (MBR) partition table arrangement as their standard. MBR can only address 232 logical blocks on the hard drive with a common sector size of 512 bytes -- in other words, a maximum of 2.19TB of data. While 32-bit Windows XP systems can't handle GPT natively, there is a solution: Paragon Software Group's Paragon GPT Loader, which is currently free under its early adopter program. The software allows XP computers to use drives larger than 2.19TB. In order to test whether using a drive under GPT offered disadvantages (or advantages) over a drive under MBR -- in other words, to determine if switching the partition scheme for 3TB of space is worth the trouble -- I not only tested the performance of the 3TB drive, but also tested a 2TB Caviar Green drive (Model WD20EADS), using both the MBR and GPT partition arrangements. I first portioned both drives as GPT and tested using Simpli Software's HD Tach and Futuremark's PCMark Vantage HDD test. The two drives ran at nearly identical burst speeds, with the 3TB drive marginally faster at average reads (114.9 versus 86.7) and random access (15.6 versus 20.2). The PCMark Vantage results were also virtually the same. The 3TB drive running under a GPT partition table was the performance equal (actually, the slight leader) when compared to the 2TB drive. Knowing now that the two drives were equivalent performers (in other words, managing the larger-capacity 3TB drive caused no lag in performance), I revisited the 2TB and converted its partition table to MBR. Would it be faster or slower than GPT under MBR? The 3TB Caviar Green with its Rocket 620 card carries a retail price tag of about $230, while a 2TB Caviar Green drive can be had for about $90. That's a big chunk of change for 50% more capacity. You could purchase two 2TB drives for less than the price of a single 3TB unit. However, keep in mind that you'd also end up with twice the power consumption and twice the heat generation -- so it might not be a good trade-off for small form factor computers at the very least. In addition, if you're planning (or already have) a server farm where more than 10 of these drives are used, your power savings and heat reduction would be significant. As a newly introduced hard drive, the 3TB Caviar Green is at its cost zenith. That should start to dip significantly over the next few months. If you can't wait, the only thing you're out is the extra money. Added capacity and lower maintenance issues are genuine pluses. Bill O'Brien has written a half-dozen books on computers and technology. He has also written articles on topics ranging from Apple computers, PCs and Linux to commentary on IT hardware decisions. 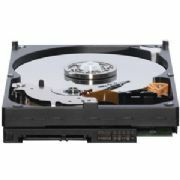 This story, "Western Digital 3TB Caviar Green HD" was originally published by Computerworld.